Ghosn wanted to overhaul Nissan's management partly because he was unhappy with Nissan's financial performance under CEO Saikawa, sources said. TOKYO – Carlos Ghosn was planning to remove Nissan CEO Hiroto Saikawa before Ghosn was arrested in Japan last month for alleged financial misconduct, people familiar with the matter said. Ghosn, who was then Nissan's chairman, was planning a wider management shakeup, and part of the blueprint included a new CEO, two people with knowledge of the matter said. The timeline of the shuffle was unclear. One source said Ghosn was planning to discuss the reorganization during a November trip to Japan with an eye toward implementing it next spring. But Ghosn never had a chance to discuss the matter with Nissan’s board. Authorities arrested Ghosn on Nov. 19 after his plane landed in Tokyo. He has been detained in a Tokyo jail ever since as investigators probe allegations that he hid about $80 million in compensation from financial filings over eight years. Nissan’s board ousted Ghosn as its chairman three days after his arrest and is scheduled to meet Dec. 17 to appoint a replacement. Ghosn’s plot to remove Saikawa as CEO was reported earlier Sunday by The Wall Street Journal. Any plan to remove Saikawa would require approval of the board. A Nissan spokesman said the company was “unable to comment on a highly speculative story of this nature." Ghosn maintains his innocence, according to a person close to the family. But the man credited with saving Nissan from bankruptcy nearly two decades ago could be indicted as early as Monday for allegedly under-reporting his compensation on official disclosures. 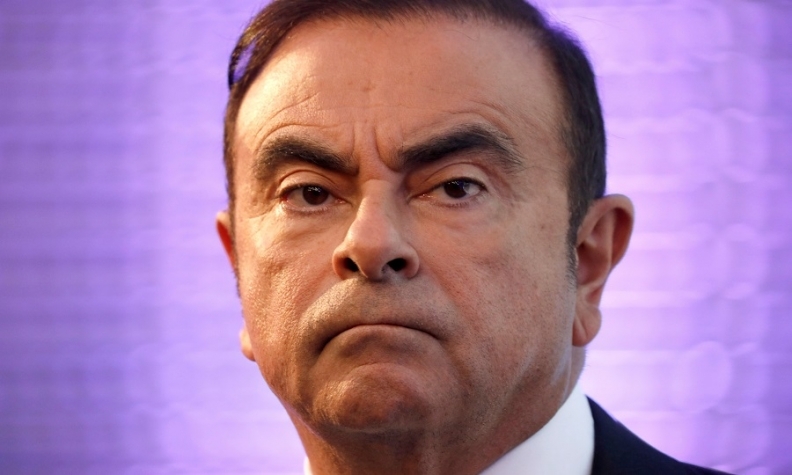 Ghosn wanted to overhaul Nissan’s management partly because he was unhappy with Nissan’s financial performance under Saikawa, the people said. Nissan’s operating income fell 17 percent in the first half of the current fiscal year ended Sept. 30, 2018. Ghosn was also critical of Saikawa’s handling of the ongoing final inspection scandal in Japan, which has dented earnings and forced Nissan to recall more than 1 million vehicles in its home market, one person said. Despite efforts to root out the problems, Nissan continues to undercover new inspection oversights. Its latest were announced Dec. 7, triggering 150,000 more recalls. Saikawa’s age was another reason, the source said. He is 65 and approaching retirement. Ghosn is 64. Saikawa himself may come under pressure from the allegations of financial misconduct against Ghosn. Japanese media report that the company is expected to be indicted alongside Ghosn for misrepresenting his income in official filing. Since becoming Nissan CEO, Saikawa has moved quickly to reverse much of Ghosn’s strategy of setting ambitious numerical targets. He also criticized Ghosn’s push to prioritize market share and volume in key markets such as the United States, often at the expense of profitability. Nissan's previous business plan, launched by Ghosn in 2011, dictated a slew of sales and market share goals, including the contentious drive for a 10 percent U.S. market share by March 31, 2017. Called Power 88, the plan took its name from its two signature numerical targets: operating profit margin of 8 percent and global market share of 8 percent. The company failed to hit either target. Jose Munoz -- chairman of Nissan's North American operations at the time -- delivered the U.S. 10 percent, but only briefly. Nissan and Infiniti hit a combined 10.2 percent in February 2017. Ghosn was sent by Renault in 1999 to take over a then flailing Nissan as COO. He became Nissan president the following year and was CEO from June 2001. He relinquished his CEO title at Nissan last year. Saikawa served as co-CEO with Ghosn for one year, starting in 2016, before becoming sole CEO. Lindsay Chappell contributed to this report.